Magic: The Gathering Arena from a casual MTG super fans point of view. I just want to start off by saying just how fun it has been to be a part of Magic: The Gathering Arena as a Beta Tester from very early on… I think? I feel like I am a part of MTG gaming history since I know the weight and impact Arena is about to have on the Magic: The Gathering community. For those of us who have had the opportunity to watch the game grow and get better with each version it has been a fun ride. After having played 60 card constructed, single elimination, no side board decks, consisting of cards made up from the Ixalan Block only, you realize how intricately designed this set is and how it feels like it was built specifically to launch Arena. Dinosaurs, Vampires, Merfolk, a really strong Control Deck, awesome new Mana. The Power Level really shines on it’s own and looking at Dominaria (also an amazing set) things are really going to open up with the addition of Amonkhet and Hour of Devastation. I foresee a Sea of Red tonight. 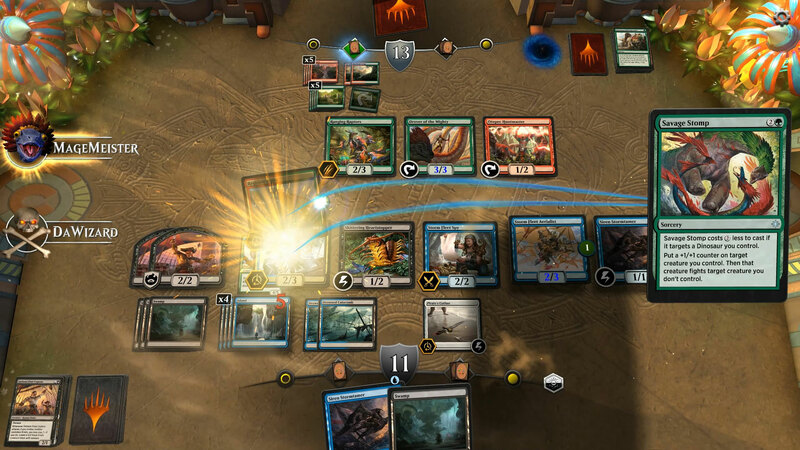 So in short – Arena is a huge home run for fans of Magic: The Gathering. Basically if you have the time you will be able to play for free, and from what I can see – that is the #1 complaint among all active players. Lets face it Paper Magic can be damaging to the wallet. The average Standard Format player wants something that’s going to win so they build their best ride or die deck. Arena will put an end to all of that. You will be able to test cards at unmatched speed, with no guess work at all on how a new card interacts. You will be able to quickly change up decks and brewing becomes fun again with far less financial risk, opening up the META. Problem cards will be identified very early on lessening the effects of any card being banned. Read on to check out more of our thoughts on the new Magic Arena! MTG Players will be able to get so many repetitions in with their favorite deck and be able to face a very high level of competition no matter what your location is. The Pro scene could be in for a huge shake up and a way better prepared META is on it’s way to competitive events! Arena will provide everybody a super play group that is more reflective of a bigger fan base. In short your going to need to be playing Arena to keep up. Decks spread like wild fire in this setting and the META shifts so fast in Arena that by the time you go grab the cards you need to build a Paper Magic deck and sleeve up, I already have 100 games with that latest deck against the best real time MTG META available. I know what you’re saying… You can do that already over at MTGO and get the same type of experience. Not even in the same universe of online gaming. MTGO will always have it’s place, but Arena is every casual MTG fans dream and gives the competitive MTG fans a place to see what is really good, test cards at super speed and become faster players. Both will help improve the skill level of players. Apples – Oranges. The graphics for the game and the effects I have seen so far are a really nice addition for fans who like an immersive experience. This is highly debatable but for me the sound effects and animations set a tone for a card. Non-Basic lands often enter with sound effects and bigger creatures and spells have animations and sounds all adding to the fun and lore of the game. 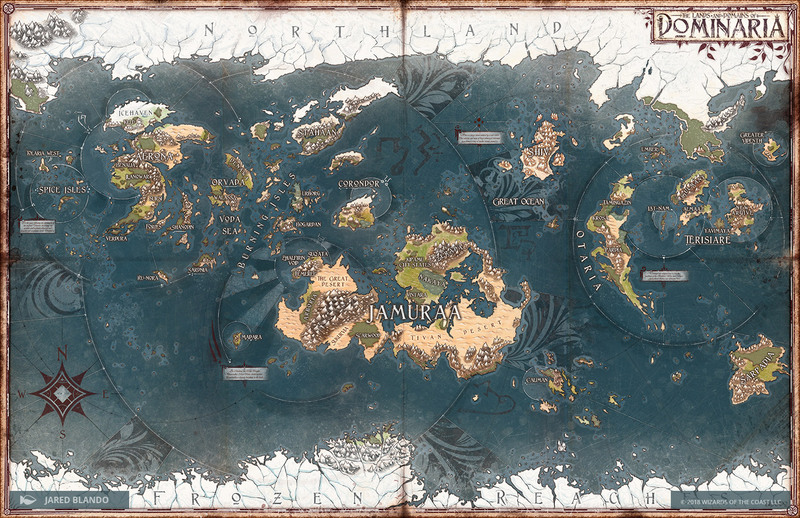 To round it up this is what the greater Magic: The Gathering player base has been asking for. I’m not sure how this plays out for your LGS and Paper Magic, but the game is going to grow, hopefully those guys see the benefits. MTG Players are going to be way more prepared at competitive events and I think we get a larger diversity of META once people start feeling the freedom that Arena gives them to brew. Competitive hard to pilot MTG decks become more viable with this kind of access. Same goes for casual MTG. You want to build that “against the odds” deck and have fun, here you go, no risk. One final side note on Brawl – I know I’m going back to those conspiracy theories, but this feels like it’s going to be added to Arena at some point. It’s also another reason i feel the Ixalan Block with Dominaria forward, are a complete reset of Magic: The Gathering and was made for the launch of Arena and Brawl. I’m a big MTG Commander player and I love this idea. I would love to see it added to Arena. 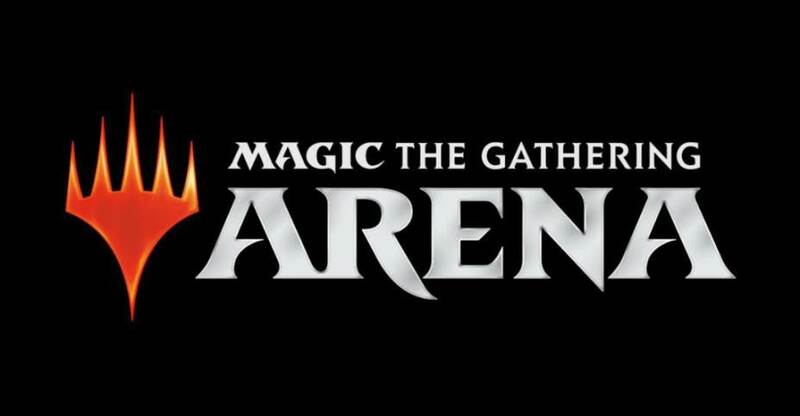 The card pool does not lie, Arena is going to revolutionize Magic: The Gathering so enjoy the ride and get in the ARENA Beta Test as soon as you can! Magic: The Gathering Dominaria Card Spoilers and Standard Commander Format? 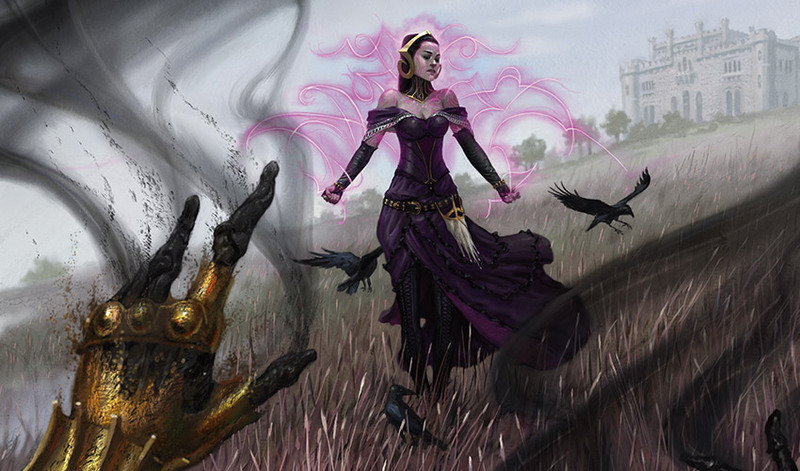 Full Thread: Magic: The Gathering Dominaria Card Spoilers and Standard Commander Format?